A report speaks about agricultural transformation in Africa and how the continent is gradually making a shift towards a more commercialised form of food production from the usual subsistence practice. According to the study, it is imperative that the African agriculture scenario changes to bring about rural development across the continent. In many countries, positive changes such as sustainable cultivation of crops have been accelerated since 2005. Though the continent is making progress, there are challenges which have to be overcome in the long run. Factors such as land degradation, rapid urbanisation and a burgeoning population can act as major hindrances. Africa’s population is predicted to increase in future. Its population will double in 35 years to touch 2.4 billion in 2050, and is projected to eventually hit 4.2 billion by 2100. John F May, visiting scholar, Population Reference Bureau, said decline in mortality rate, increased fertility and too many young people in the reproductive bracket are driving Africa’s population boom. The continent will also witness a rapid growth in its urban population, putting more pressure on its resources. Land degradation and soil erosion can play a detrimental role in limiting Africa’s agricultural transformation. According to the Status of the World’s Soil Resources report, 40 per cent of Africa’s soils are severely degraded. In such a scenario, the thrust should be on sustainable soil management as the approach for boosting healthy soils for a food-secure Africa. Mechanisation is often seen as transforming agriculture. 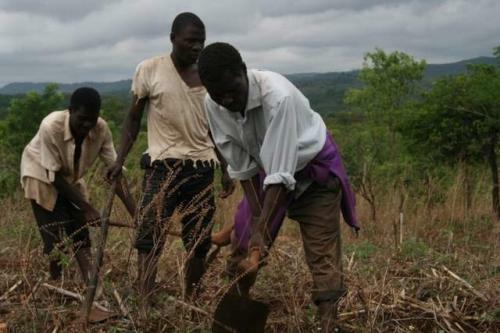 A Food and Agriculture Organization (FAO) report says that mechanisation in Africa should be carried out keeping in mind the “save and Grow” technique, an eco-friendly solution. There is also a need to make agriculture more resilient in the face of climate change. As Africa is prone to climate shocks, there is a need to introduce climate-smart agriculture and water conservation system to make local communities resistant to droughts and floods. Climate-smart agriculture can be a solution for Africa as the continent will witness frequent droughts and alteration in precipitation patterns in years to come, a CGIAR report says.